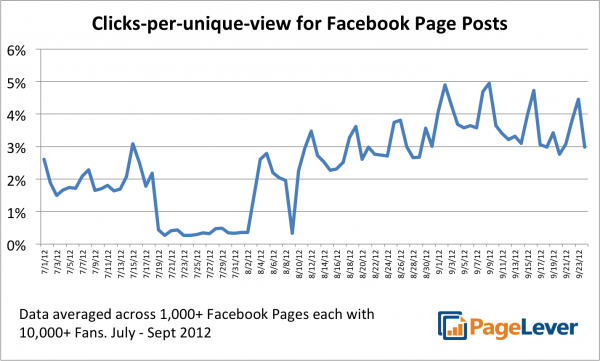 Facebook has been a popular topic of late, but not for the right reasons. George Takei is writing a book dedicated to taking Facebook to task over the fact that his posts don’t reach all of his Fans. Mark Cuban accused Facebook of driving away brands, deciding to take his ball and go home to MySpace. The argument is that Facebook intentionally changed the EdgeRank algorithm to put the squeeze on brands, forcing them to promote posts. Slowly, a small number of writers came forward with an opposing view. Brendan Irvine-Broque of PageLever wrote about why Cuban is wrong about Facebook. Josh Constine of TechCrunch wrote Killing Rumors With Facts: No, Facebook Didn’t Decrease Page Feed Reach To Sell More Promoted Posts. Brittany Darwell of InsideFacebook.com did the research with News Feed, EdgeRank and page posts: what’s really going on with Facebook? This counter argument stated that Facebook actually made News Feed more efficient. During September, it became easier to report Pages for spam. Facebook then tweaked their algorithm to weed out spammy content. As a result, less of that content reached people who didn’t want to see it. Reach, they say, stayed consistent overall, while engagement got a boost. But these three writers are in the extreme minority. I’m talking 99-to-1 type minority. It’s not popular to take this stance. I’ve written before about how frustrated I am with this discussion. That we’re focusing on the wrong metric (Reach). And that we have unreasonable expectations for the number of people we should reach. But I’m not all talk. I want to bring some facts to the table. So I’m opening up my stats. I’m tapping my virtual calculator and crunching the numbers. I’m ready to show you what I’ve found. Before I get there, I wanted to collect some evidence closer to a global view. I’m only one person with 7,000-ish Facebook Fans. No matter what I find, it’s an incredibly small sample size. I don’t know what happened in July, but you’ll recall in September Facebook did two things: 1) Made it easier to report Pages for spam, and 2) Updated EdgeRank to punish spammy Pages. The result, as Constine and others have claimed, is more relevant content to the people who want it. According to this chart, Pages are getting engagement of one to two percentage points more than before (not considering the drop in July). In some cases, we’re talking double and triple the efficiency. But if Constine and others are right, I may not notice any change in Reach at all. According to their reports, the average Reach has remained the same. Some have been punished due to spammy behavior while others have not. Similarly, the claim is that EdgeRank has been tweaked to more accurately surface content to the people who care about it. If true (as supported by PageLever), my Reach should be more efficient — I should get more engagement per impression. Okay, so you probably know by now that I’m tired of talking about Reach. There seems to be this expectation that we should reach 100% of our Facebook Fans even though only half are on Facebook on a given day, and most who are on won’t be when we post. I hate the subject. It means very little. All I care about is whether I’m getting qualified engagement. But humor me for a second, and let’s talk about Reach. If Facebook decided to squeeze me and force me into promoting my posts, one indicator could be Reach. So let’s take a look at a few items. Below are several line graphs: Total Likes, Total Reach, Total Reach/Likes, Total Fans Reached and Percentage of Fans Reached. When compared to Likes, however, there is a slight dip once we get to September. Note, though, that this is Total Reach, not Reach of Fans. Now let’s look at Total Reach of Fans. Note that this chart starts on April 26, which is the first day that Facebook reported these numbers. Once again, it’s a steady climb. There’s an apparent drop during the final week of the report, but that’s immediately following the highest Fan Reach recorded. So now let’s look at the percentage of Fans reached over time. From June through August, I was reaching 16-22%. Beginning in September, I was reaching from 14-19%. It’s interesting because I never noticed a dip. That may be because it was actually rising, for the most part, but only the percentage of Reach was dropping. So this certainly wasn’t obvious. But is Reach down for my Page? Yes. That could actually be consistent with both reports. I had previously found that 34 people have reported me for spam. That’s not a huge number, but it could make an impact depending on how Facebook handles spam reports. I’m not immune. While Reach is down a bit, I beg you to look at something: I’ve never reached anywhere close to “all” of my Fans with a post. I once reached 25% when Facebook first started reporting these numbers, but I’ve otherwise always straddled 20%. We can also infer from the earlier data for Total Reach Over Likes that dating back to January this remained true. In fact, I was reaching only 22-23% of the total Fan count for a while, and that was considering TOTAL Reach (including Non-Fans). So if you take anything from this post, I hope it’s this: You never reached close to 100% of your Fans. You never reached close to 50%. And at least on my Page, the most I reached was 25%, and that appeared to be a fluke. Engagement is the money maker. So if Facebook truly is trying to squeeze me, we should see a corresponding drop. If Constine and others are right, however, the drop in Reach will result in more efficient engagement. In other words, engagement should remain steady even if my posts are reaching fewer people. So the first thing I want to do is take a closer look at Total Engaged Users, Percentage of Total Engaged Users to Fans, Total Fan Engagement and Percentage of Total Fan Engagement to Fans. Before I get to the true efficiency numbers, I want to see how engagement has trended with Fan growth. I’ll continue to provide both totals and percentages since I feel that both tell their own story. First, let’s look at Total Engaged Users, which includes Fans and non-Fans. As you can see, that number rose noticeably in July and has been high and steady since September. You’ll recall that Reach over Fans dipped slightly, but that’s not the case for Engaged Users over Fans. There was a drop from May to June, but it’s otherwise been very consistent between 1.0 and 1.8 percent. It’s actually trending slightly upward. When taken over Total Fans, Engagement has remained quite steady. But once again, it’s between 0.8 and 1.2 percent since September, an increase over the prior periods. So when I look at these charts, I see no noticeable drop whatsoever in Fan Engagement. In fact, I’ve seen a slight increase. This is in contrast to a slight drop in Reach occurring at around the same time period. Now, I find value in the Engagement stats above because it keeps Engagement in context with Fan count, but I know some people don’t like them. So, let’s also find just how efficient Engagement of my Page has been. Let’s think back again to why I’d be interested in this information. Facebook claims that they made it easier to report Pages for spam and then punished those Pages with an algorithm change in September. So beginning at that point, they said that Page content would more consistently reach the people who wanted to see it most. And if they truly did want to see it most, they’d actually engage… RIGHT? So now instead of looking at Engagement per Fan, I’m going to look at Engagement per user reached. First, let’s look at Percentage of Engaged Fans Per Total Users Reached. This is quite clear. Engagement Efficiency spiked to 3.5% in July, dropped in August, and has been at an all-time high and straddling 4 percent since September. Finally, here’s a chart for Percentage of Engaged Fans per Total Fans Reached. Much the same here. The high was just under 5 percent in July, dropped in August, and has mainly been between 5 and 6.5 percent since September. Posts since September have quite clearly been more efficient, generating engagement more often per person reached. Now, I do understand that my Page represents a small sample size. But there is a common theme here: Those who are willing to share significant amounts of data show either no negative impact or a positive trend in Fan Engagement. Those who shout about being squeezed provide very little (for example, the focus on Reach only). So, no, I’m not Reaching all of my Fans. As you can see, I’ve never reached more than 25% of my Fans. And even though my Reach has dropped slightly since September, it’s nothing like the drop many are reporting. And I’m actually getting much better engagement during that time. 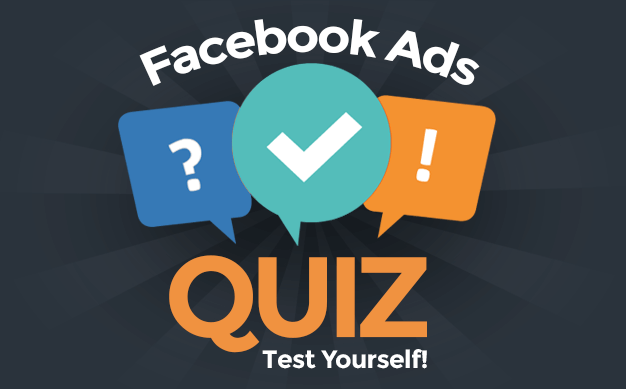 Is your Facebook Page not performing? Let me help! I will review your Page and provide recommendations for how you can optimize engagement, leads and revenue. Go here for more info.